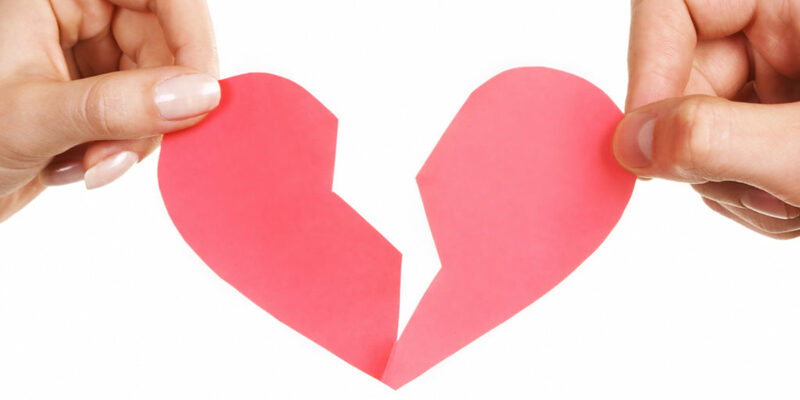 It’s a sad but true fact that at some point in life, just about everyone experiences the pain of a broken heart after the breakup of an important romantic relationship. Overwhelming feelings of anguish and sadness are a common response when a relationship has ended. Research has found that the intense feelings we experience when a love relationship has ended are similar to emotional responses we feel after more traumatic experiences such as the death of a loved one or the diagnosis of a life-threatening illness. There is no doubt that a breakup can be a painful experience and you may wonder if you will ever feel better. Anger. You’ve just been rejected and betrayed by someone you loved and whom you thought loved you, too. How dare he do this to you! How could he do this to you? You trusted him! If you could, you would just like to get your hands on him and really make him suffer! Self-contempt. You begin to believe that your lover left you because she saw all of your flaws and imperfections. If only you were a better human being, she wouldn’t have left you. Now that she has rejected you, it’s likely that no one else will want you either and you worry that you will end up alone and lonely. Self-Pity. You tell yourself that this shouldn’t have happened. This is totally unfair and he is reprehensible – a real louse! You’re certain that this pain you’re feeling is not only unjustified, but that it is more than you can possibly endure. There is an old adage that states “time heals all wounds” and that is certainly true enough. Given time, you will most likely begin to feel better and your broken heart will gradually begin to heal. But what if there were steps you could take to speed up the healing process? By changing your thoughts from misery-inducing ones to thoughts that are realistic but less painful, you can begin to feel better sooner so you can begin to move on and pursue a life of happiness and fulfillment. Make the decision to move on. Although it wasn’t your decision to end the relationship, it is your responsibility to make a commitment to yourself that you want to get over these feelings of hurt. Stop listening to sad songs and stop looking at pictures and mementos of your time together. You don’t need any extra help to add fuel to the breakup fire. Instead, make the decision to stubbornly refuse to continue to be in this much pain. Stop beating yourself up. Breakups happen. Because your relationship ended, it doesn’t mean that there is something inherently wrong with you. Of course you have your flaws, we all do, and when people get close to us, they see our flaws and weaknesses. Our flaws are what make us human and there is no way any human being can be flawless. Practice self-compassion and offer forgiveness to yourself for the mistakes you made. Stop vilifying your ex. Just like you, your former lover is a flawed human being. Even though he has rejected you, he is in all likelihood, not a completely terrible, awful person although he may have done some truly rotten things. It doesn’t help you to ruminate about horrible things he did to you. All it does is make you miserable and bitter in the process while your ex-lover may be enjoying himself and having a wonderful day. Let go of the relationship completely. Every minute you spend focusing on your ex is a minute that’s keeping you from moving on. So unfriend her from your Facebook, delete her from your Instagram, stop texting her, and remove her from your speed dial. Don’t fall into the “let’s stay friends” trap. Staying in each other’s lives is going to make it nearly impossible to move on. Set goals and work towards making them happen. Focus on the future instead of dwelling on the past. Make an effort to get involved in activities that you find rewarding and fulfilling. Hit the gym, join a book group, focus on your career, pursue a new hobby, go out and volunteer. Working on yourself during this time is a great thing! Meet with a counselor. Consider making an appointment with a counselor to talk about the breakup. Counselors who are trained in cognitive behavioral therapy (CBT) can help you to understand that the way you think following a breakup determines how you act and feel. By replacing unhelpful thoughts that make you feel hurt with more helpful and rational thoughts can make your breakup much more tolerable. Consciously following these steps will help to mend your broken heart following a difficult breakup. The steps will help you to stop feeling bitter and hurt so you can once again live your life and learn to love again. 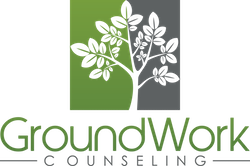 At GroundWork Counseling in Orlando, our counselors and therapists are here to help you move forward following a difficult breakup. Cognitive Behavioral Therapy Am I Depressed?